It didn't take long for me to find an Oscar! 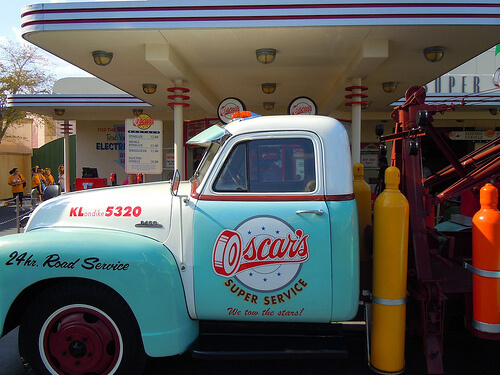 Oscar's towing service, that is. 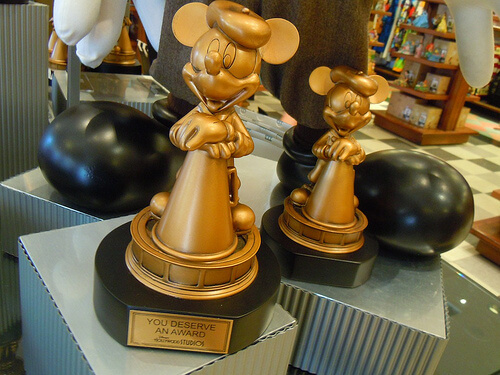 Inside one of the park's first shops sit these Academy Award-like Mickey Mouse statues that can be personalized. I bought one years ago with the inscription 'Future Imagineer'. Haven't gotten there quite yet. 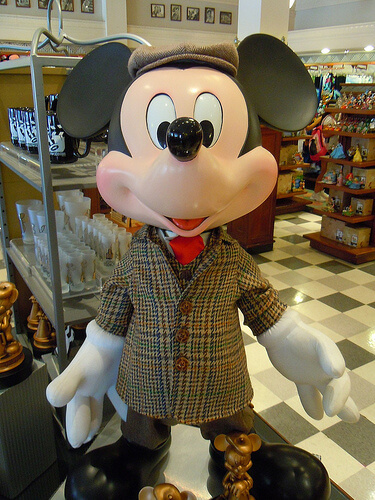 Standing above these statues is director Mickey Mouse. I don't think he's ever won an Oscar for Best Director. But the walls within this store are lined with celebrity photos, some of which were definitely nominated for Academy Awards. 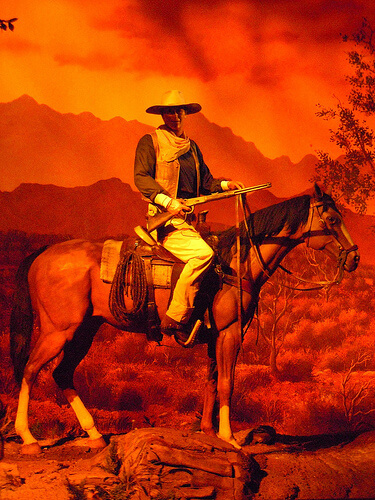 You'll see these faces a few times before we're through here. Aha! 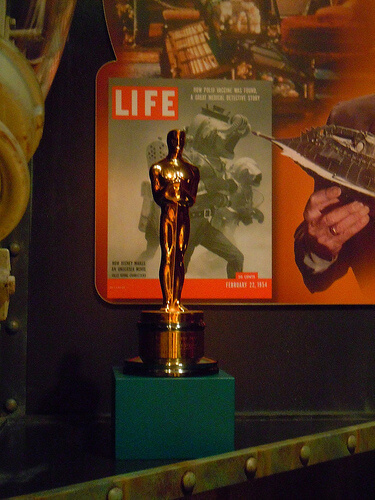 It didn't take long for me to find some REAL Oscars, on display in The Magic of Disney Animation. 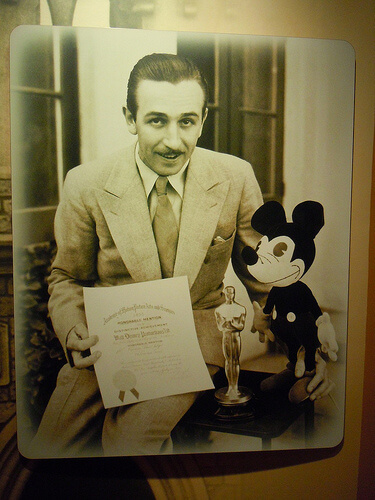 Here's a closer look at one of many, many Academy Awards that have been given to Disney films and their creators. It was great to see them up close knowing that this year's ceremony is just around the corner. 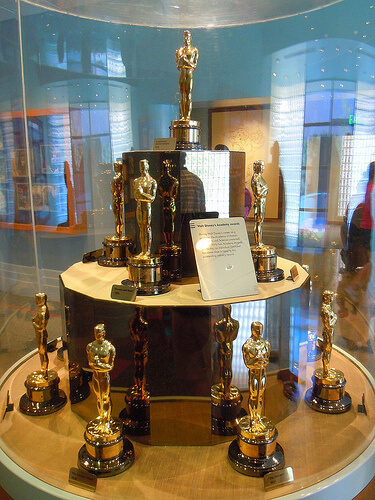 I was pretty sure I could track down an Oscar statue or two inside One Man's Dream. 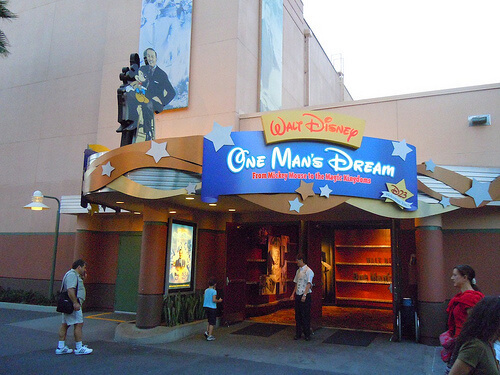 Immediately inside the entrance is this photo of Walt Disney, an Oscar statue, and an early Mickey Mouse plush. Jackpot. 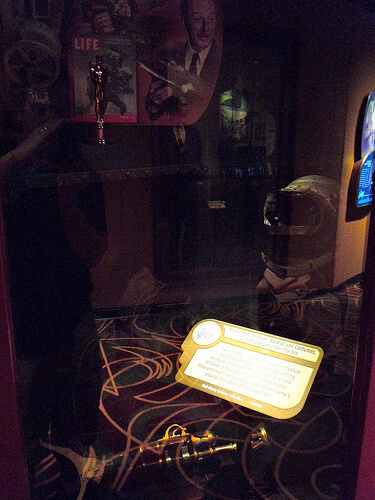 Further into the exhibit, I was disappointed to find the honorary Academy Award for 'Snow White and the Seven Dwarfs' missing from this display. 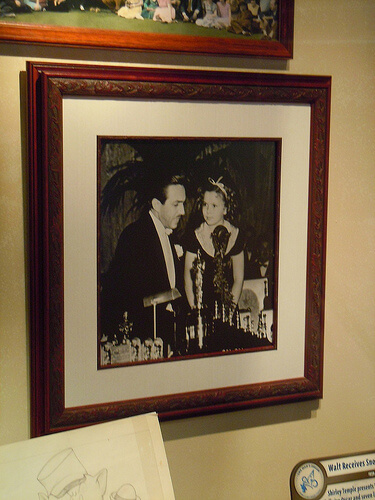 Instead, there was only a photo of Walt Disney and Shirley Temple with the special award, featuring a full-size Oscar statue plus seven smaller ones. I know it used to be here, so I wonder where it went. On our way out of One Man's Dream, Michelle spotted one of this year's Academy Award ceremony's hosts, Anne Hathaway. 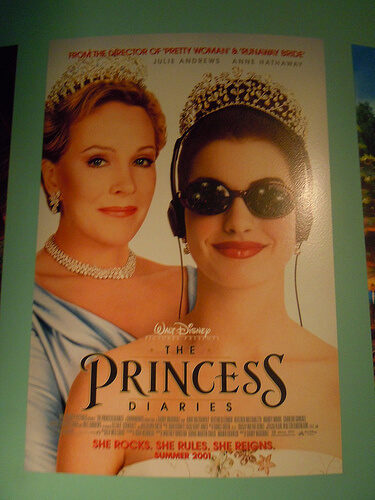 Or at least she was there on a poster for 'The Princess Diaries'. 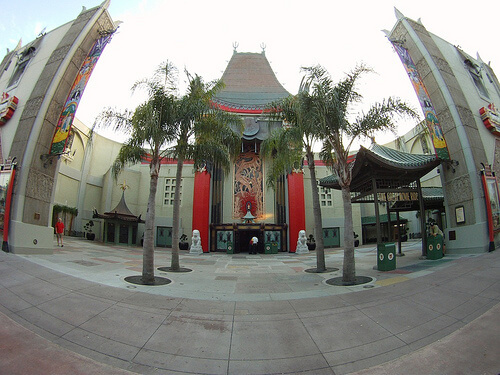 The best way to get into the Academy Awards spirit at the park is to go on The Great Movie Ride. 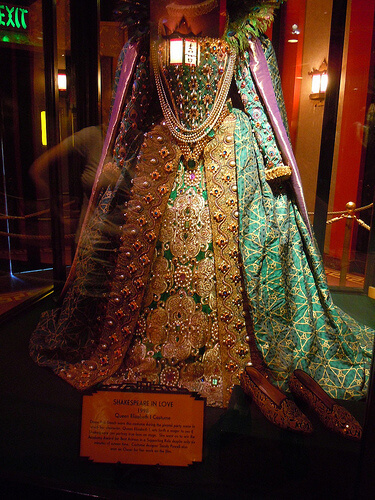 This 'Shakespeare in Love' dress is on display inside the queue. Yep, that film won an Oscar or two. 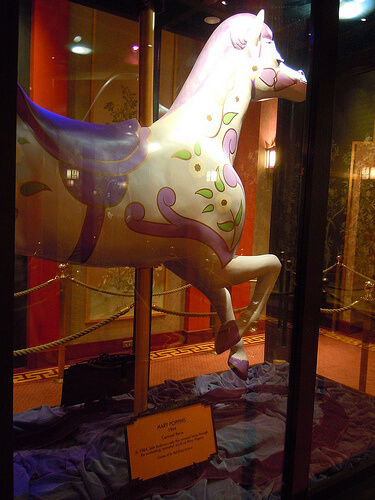 So did 'Mary Poppins', from which this horse is on display too. 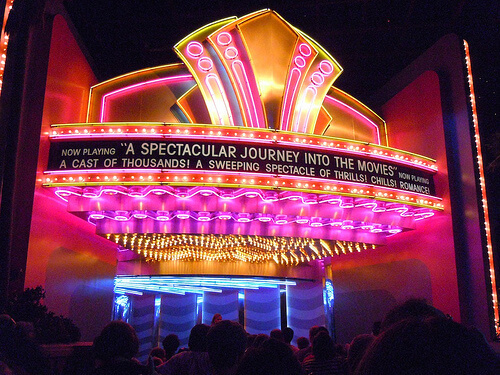 Moving forward in the queue, this film trailer loop prepares visitors for the scenes that will unfold in the ride. 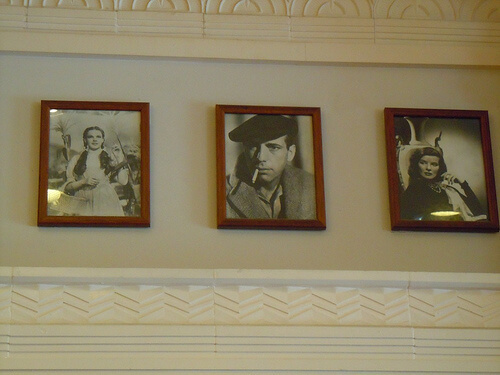 It's also a great way to recap classic movie history, with plenty of Oscar winners. 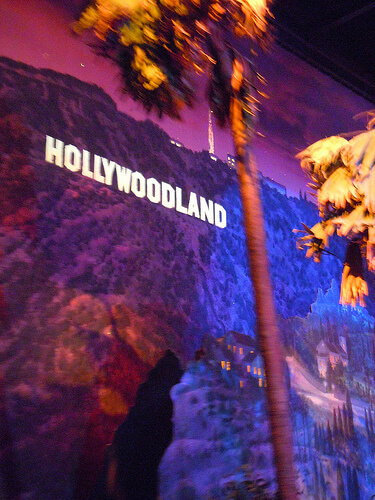 Sitting down, we enter Hollywoodland, home of countless Oscar winners! The spectacular journey into the movies begins. 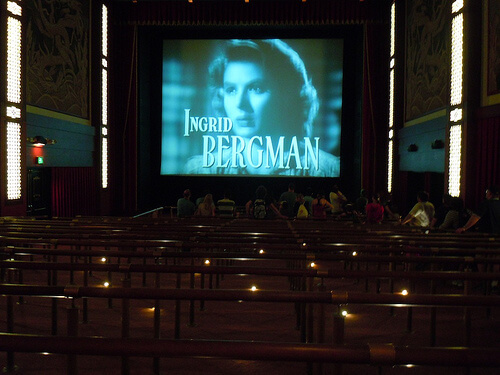 The score to 'Singin in the Rain' was nominated for an Academy Award, though it didn't win. Look out! Alien attack! This blurry photo is probably a good recreation of the last thing you'd see if you really got attacked by one of these creatures. 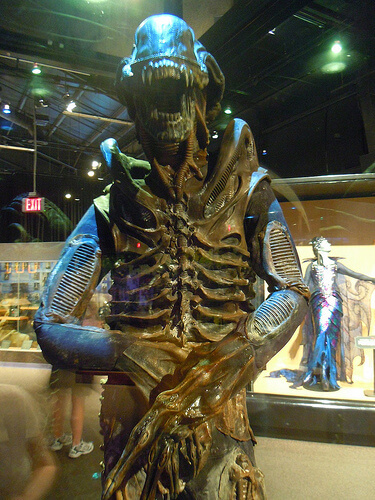 Oh, and 'Alien' did win the Oscar for Best Visual Effects. 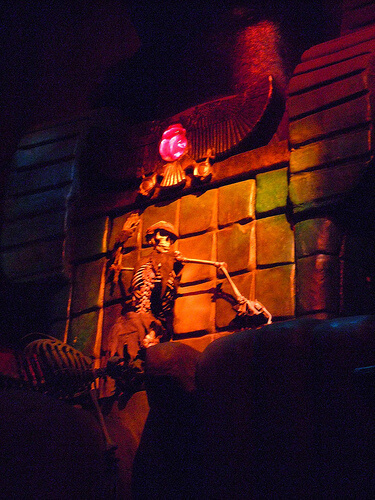 This scene in The Great Movie Ride is not from a specific movie nor does it have anything to do with the Academy Awards... but I thought I'd include a fun shot of the skeleton reaching for the gem anyway. Now here's a real Oscar winner. 'Casablanca' won Best Picture, Best Director and Best Screenplay, with several more nominations including one for Humphrey Bogart for Best Actor. 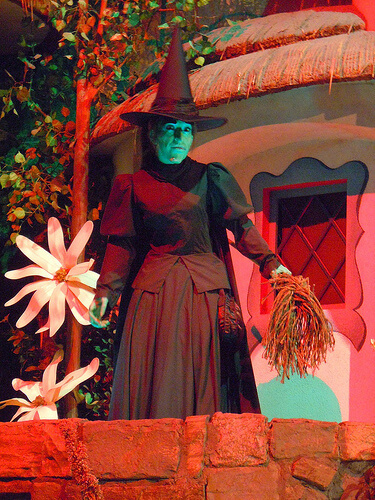 'The Wizard of Oz' won the Academy Awards for Best Original Score and Best Original Song. 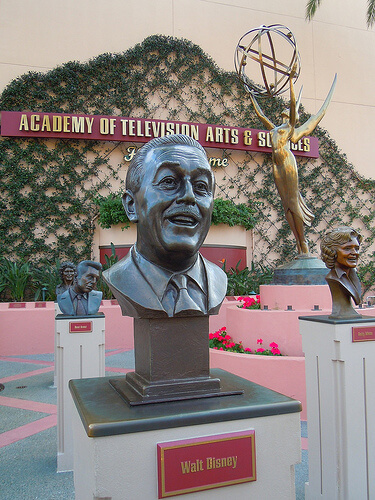 While Academy Awards were the focus of this visit, I couldn't ignore other awards Disney has racked up over the years, including plenty of Emmys for television. 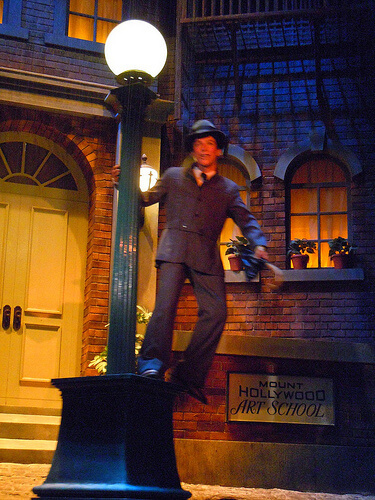 But I continued my Oscar hunt on the Backlot Tour, though the tour ain't what it used to be. 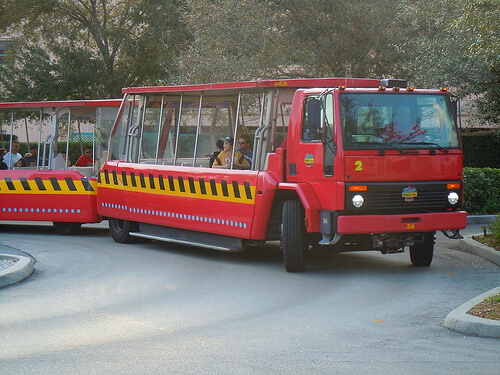 The Lights, Motors, Action stunt show can be blamed for its shortening. 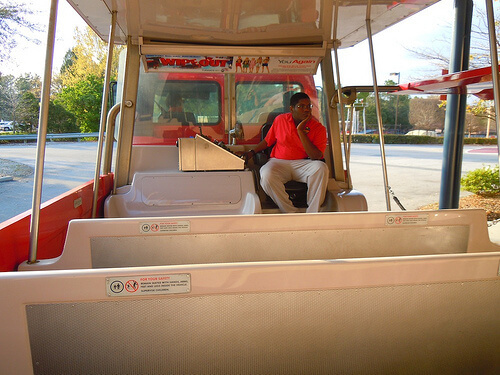 I did discover that if you linger long enough in the queue, you end up in the front tram car. I had never ridden up there before. I also quickly found out that the live narration has been replaced by a pre-recorded one. 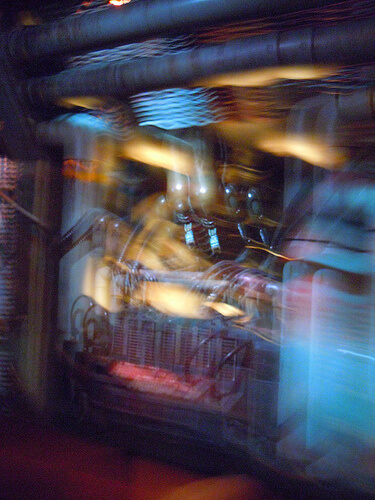 I'm sure that happened quite a while ago, but it's been quite a while since I've been on this attraction. 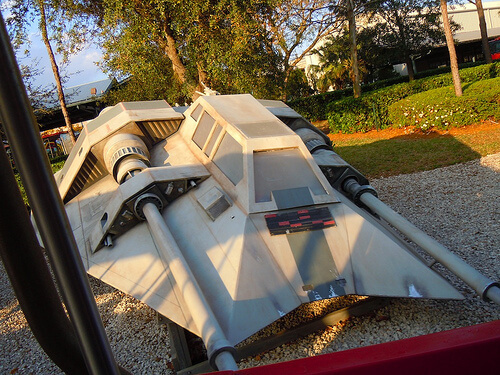 There are still a few fun things left to see on the Backlot Tour, like this 'Star Wars' vehicle. 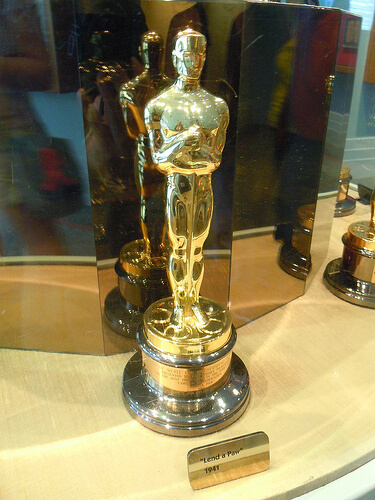 The film series, of course, has won quite a few Academy Awards. 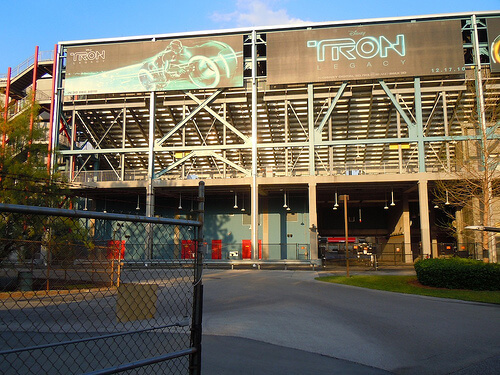 On the backside of the Lights, Motors, Action theater are large 'Tron: Legacy' banners. That film is nominated for Sound Editing this year. 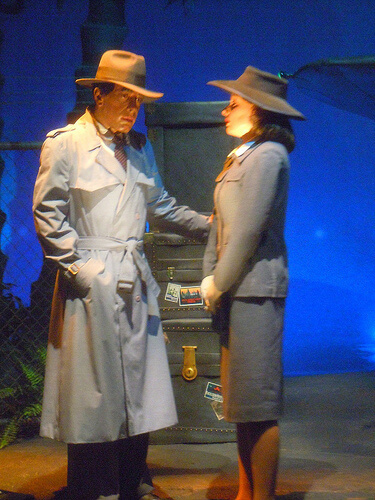 After the ride portion of the Backlot Tour is the AFI showcase of famous movie props and costumes. 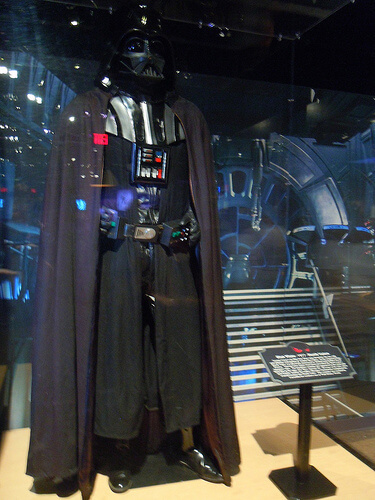 Darth Vader's costume would certainly be included in the Best Costume Design win for the original 'Star Wars'. 'Alien' once again. Still an Oscar winner. 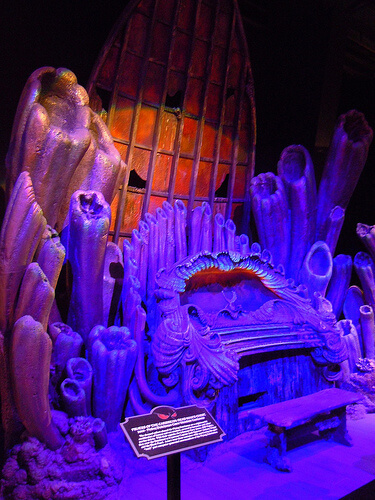 Davy Jones' organ from 'Pirates of the Caribbean: Dead Man's Chest' resides in the AFI showcase. 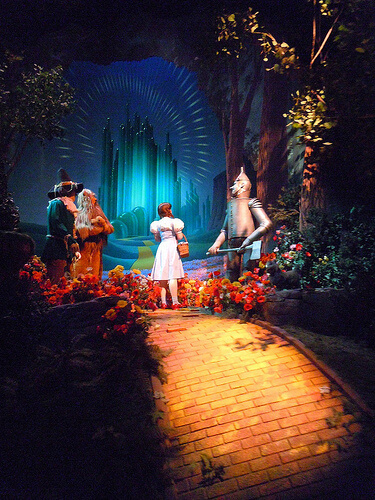 The film won an Oscar for Best Achievement in Visual Effects. 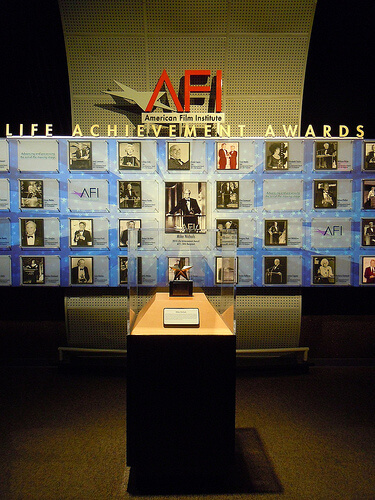 AFI has their own awards too. 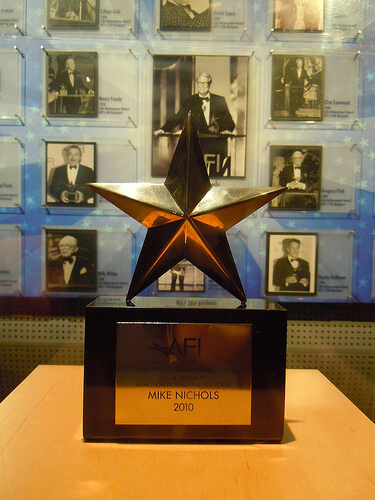 Here's a closer look at an AFI award. 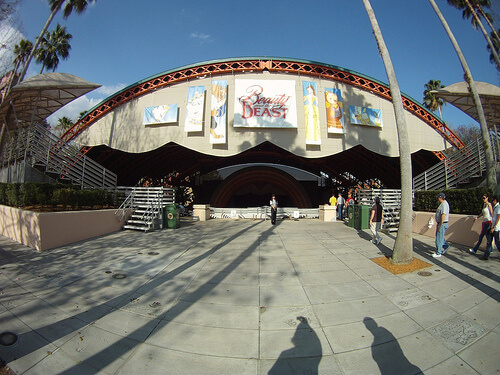 Finally, since 'Beauty and the Beast' was the first animated film to ever be nominated for Best Picture, I thought I'd stop in to see the Beauty and the Beast live stage show - which I had never seen before! 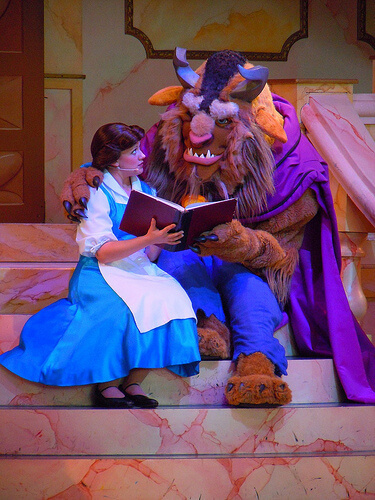 The show was entertaining and Belle was a great singer. 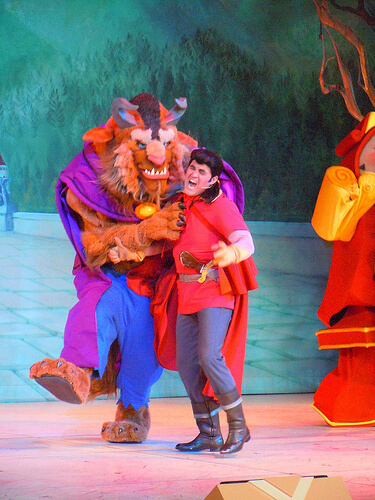 Gaston does not look happy about this ParkSpotting adventure coming to an end. But like the Academy Awards ceremony, this adventure has gone on far too long. 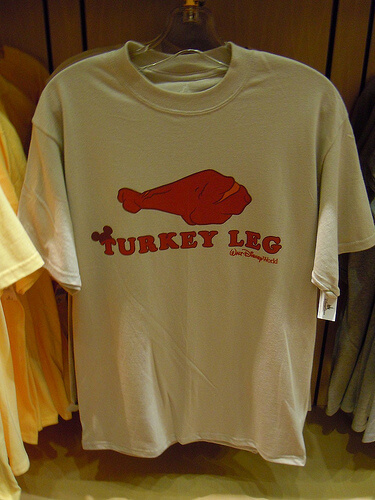 So now I leave you with one last photo that has absolutely nothing to do with the Oscars: a Turkey Leg T-shirt. I just thought it was funny. It's good to end on a joke. And that concludes my trip around Disney’s Hollywood Studios in search of what turned out to be a not-so-elusive Academy Award. I knew they were there, but never realized just how many I could find in only a few hours in the park. This trip, combined with seeing almost all of the Best Picture nominees, was certainly a great way to get ready to enjoy tonight’s ceremony. More photos to come soon! 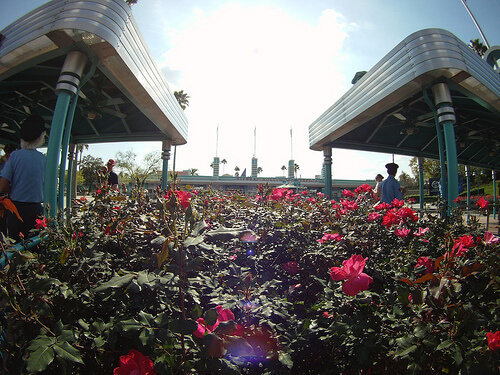 Check out all of our past ParkSpotting adventures and keep coming back for more! I had a feeling that was where it went!